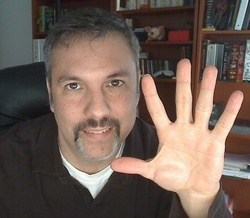 It was 5 years ago today that I created Lifestream Blog. It all stemmed from the fact that I became intrigued with the ability to find a way to aggregate content I created across social services into a single location. Furthermore, I wanted that content to appear in reverse chronological order. A digital social diary if you will. The original concept of “Lifestreaming” had been around but the application of using the web and social services as a method of implementation was very new. Back in 2007 there weren’t many ways that one could achieve this. I wrote a post detailing all of the research I had done to share with other people and thus Lifestream Blog was born. It’s been an amazing journey. When I created the blog I truly felt that this concept was something that was going to be huge. Within months of launching the site there was an avalanche of startups launched that aimed to bring Lifestreaming to the masses. I reviewed many of them and over time was contacted by founders to provide feedback and advice. It was an amazing time where you could see the evolution of this concept in various unique implementations. Initially most services only provided aggregation of RSS feeds but as the evolution of the web continued with the proliferation of websites providing API access to their services, we continued to see Lifestreaming services innovate. From 2010 to now I have focused on several other areas related to the data we create on social services. I became very interested in how we can glean insight from the data and how we can filter and prioritize the massive amounts generated by the firehose. I became very interested in the growth of social magazine apps which allow us to connect our social accounts and use logic to filter relevant content for us. I’ve also become much more interested in Lifelogging and the Quantified Self. There are an amazing number of devices coming to market to track personal data as it relates to exercise, sleep, nutrition, as well as blood and dna analysis. I feel we’re on the verge of a huge revolution in pro-active and preventative healthcare. The evolution of these devices and services to analyze the data over the next few years will be amazing. So what’s next here at Lifestream Blog? Well, I’ll continue to focus on what I mentioned in the previous paragraph and continue to bring insights and tips regarding social services and data. I also just got back from SXSW and saw a panel titled “Digital Immortals: Preserving Life Beyond Death“. I’ve written about the aspects of Lifestreaming and death before but the panel really inspired me to give this much more thought. I plan on creating a new section here on the site soon where I’ll provide tips on the preservation, preparation and archival of our digital lives. I also will continue to monitor advancements in this area and report what I find. I feel that providing a digital legacy of our lives for both our family and future generations is critically important. So that’s my update folks. I can’t begin to tell you how much I’ve enjoyed sharing my thoughts and discoveries here with you. I truly appreciate all of the readers that have visited over the years. You’ve provided great feedback and in many cases friendships were born from here. I never realized what a powerful vehicle this blog would become. I urge any of you that have a passion in life to create a blog and share your thoughts and resources with others. It will truly bring you amazing things! Happy birthday, blog, and thank you, Mark. Thanks Kevin. You are one of the many people I have referenced and was able to meet because of this blog and I’m thankful for that. Happy birth day of the blog and I know this site must be developed day by day. Thanks a lot. I’m starting to enjoy a service from Memolane which sends daily snippets from my past into my email inbox. Staring off the morning with a 5 year old photo from my flickr photostream is way in which my lifestream investment is paying dividends. Thanks Ian…you’ve been around since the early days and have also been pretty active in the community. Yes, I’ve been getting those Memolane emails and they’re pretty cool. Also checkout Timehop.com It’s nice to reflect back and view the content we created and shared in the past. Also, why I plan to foucus more this year on creating a digital legacy. I just found an incredible post on this blog! very useful for me. Thank you very much for sharing this great info. Thanks Paul. I appreciate the comments as it’s useful to hear what readers think and provide me some feedback. Happy five years! I enjoy your thoughtful perspective on these topics. Have you looked into ThinkUp? Would love to hear your thoughts on that. Hi Laura and thanks for the kind words. I am familiar with Thinkup and have actually set it up for myself to test in the past. I will revisit it again soon an write a post about it. I see there is a link to use PHP Fog as a cloud server for it, but I still don’t really get if that would be easy/free or not. I definitely would like a good way to store all of my Friendfeed, Twitter, and Facebook content (including retroactively) in a “place of my own”.